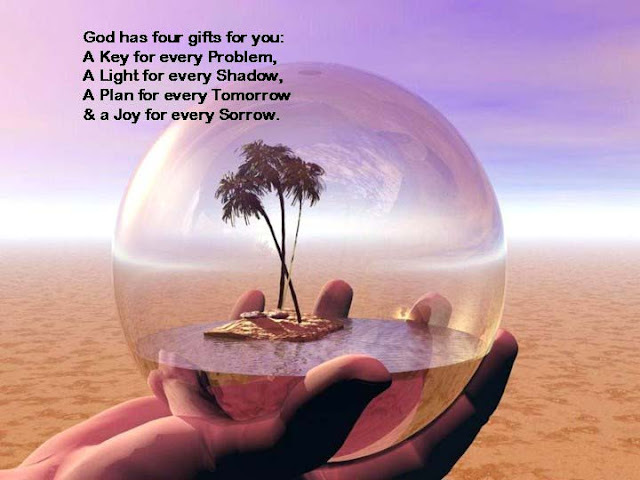 God has four gifts for you: A Key for every Problem, A Light for every Shadow, A Plan for every Tomorrow & a Joy for every Sorrow. 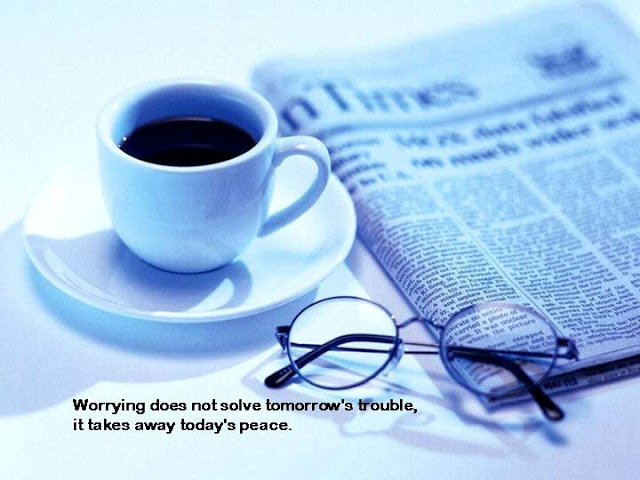 Worrying does not solve tomorrow’s trouble; it takes away today's PEACE. 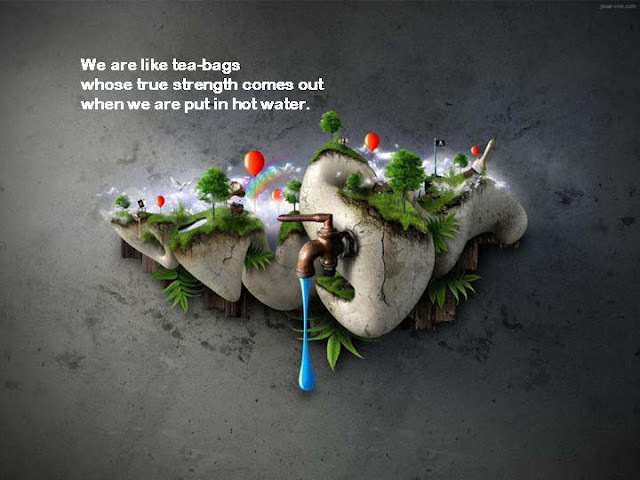 We are like tea-bags whose true strength comes out when we are put in hot water. 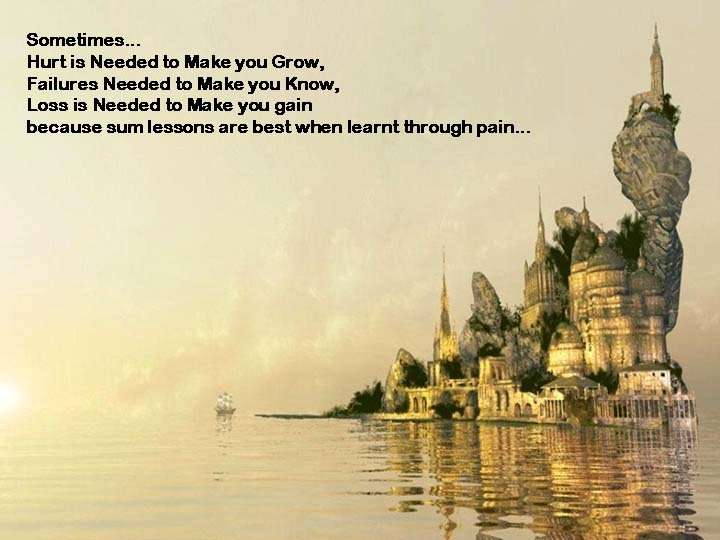 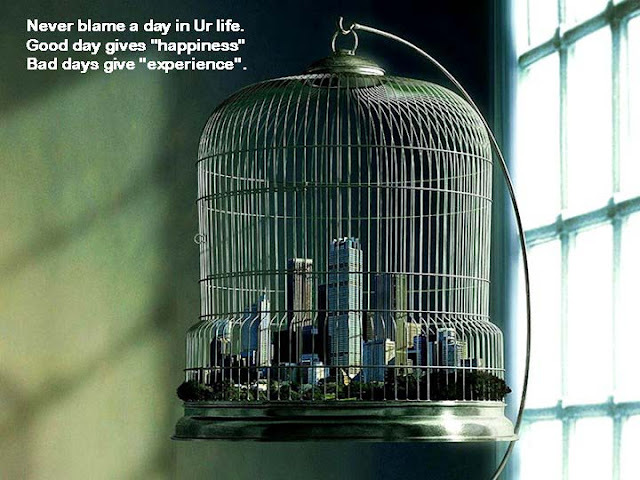 Never blame a day in your Life, Good day gives "Happiness", bad day give "Experience"
Relations are all about: Winning, Losing and Sharing. 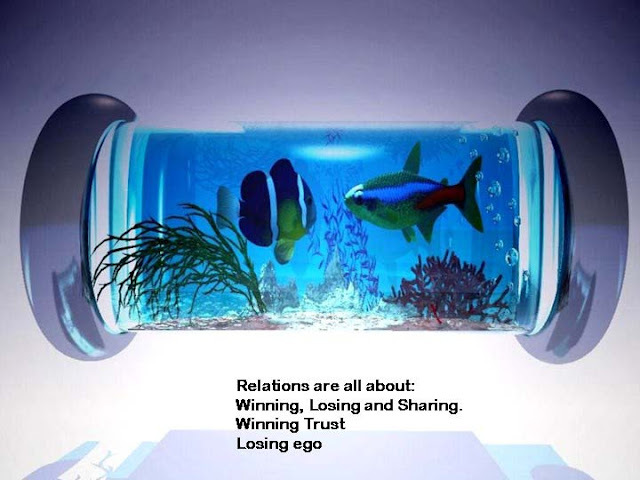 Winning Trust Losing ego. No man in this world is rich enough even to buy his own PAST. 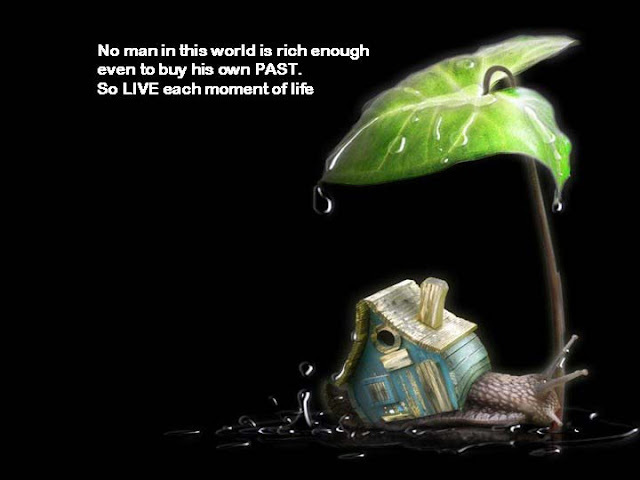 So LIVE each moment of life. 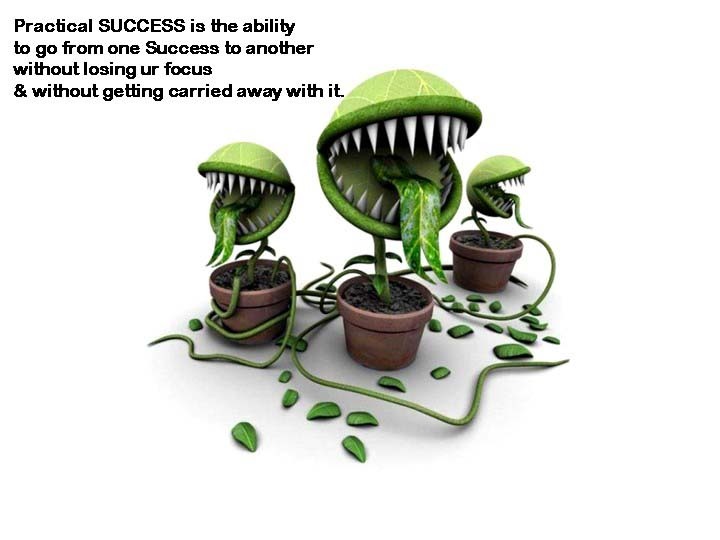 Practical SUCCESS is the ability to go from one Success to another without losing your focus & without getting carried away with it. As far as you think 'NOT NOW', Success becomes 'NEVER'. 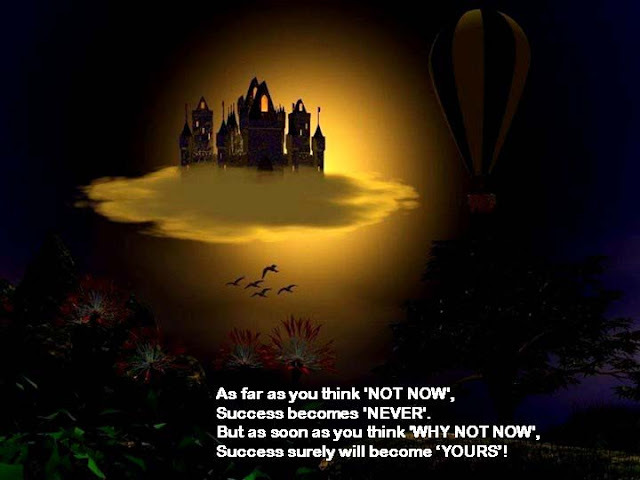 But as soon as you think 'WHY NOT NOW', Success surely will become 'YOURS'! A good understand comes only when the brain is quiet. 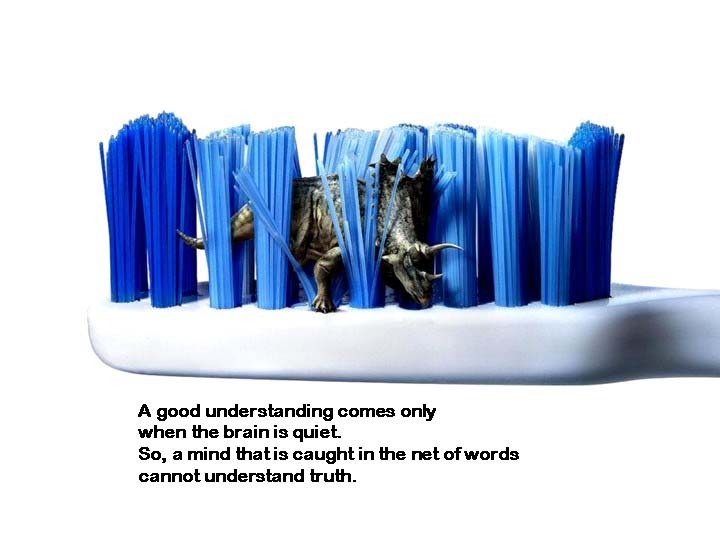 So, a mind that is caught in the net of words cannot understand truth. 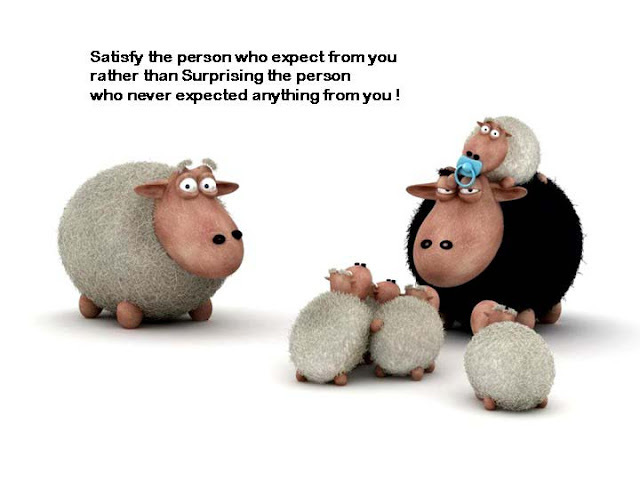 Satisfy the person who expect from you rather than Surprising the person who never expected anything from you! 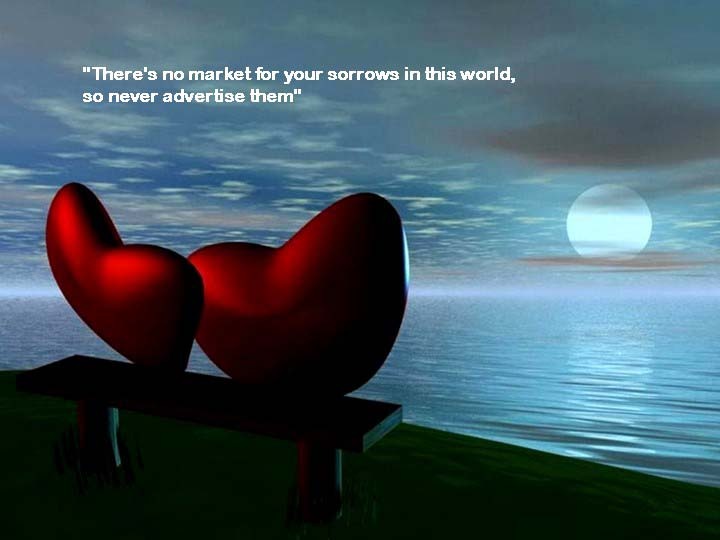 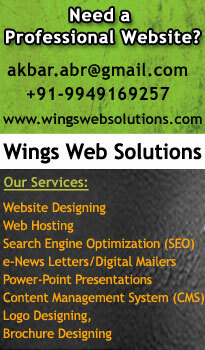 "There's no market for your sorrows in this world, so never advertise them"